We all have those days that we just don't have enough time to spend more than 5 minutes on our makeup. 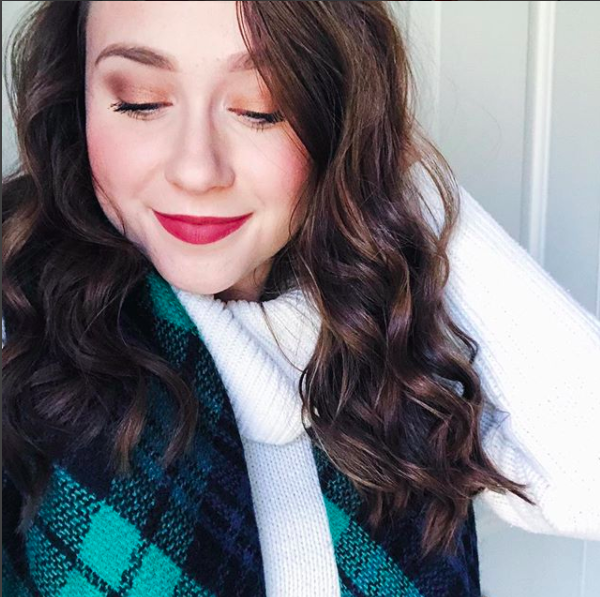 While I love to have fun with my makeup, I also really like makeup looks that I can do in no time at all! Let's be honest, if you're in college, those extra 20 minutes of sleep make a huge difference. If you have to get up to go to work every morning, yes, those extra 20 minutes of sleep STILL make a difference. 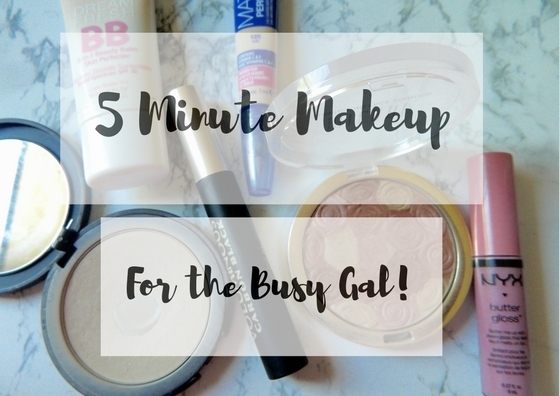 I've finally got down a makeup look that takes 5 minutes (or less!) that you can do on those mornings that you want to look put together, but don't have time to spend forever doing your makeup. For the longest time, I never used BB cream. Finally, I've come to my senses and realize the true beauty of a good BB cream. They're perfect for so many looks, especially in the summer time and those days that you just don't have enough time to deal with a heavy foundation. 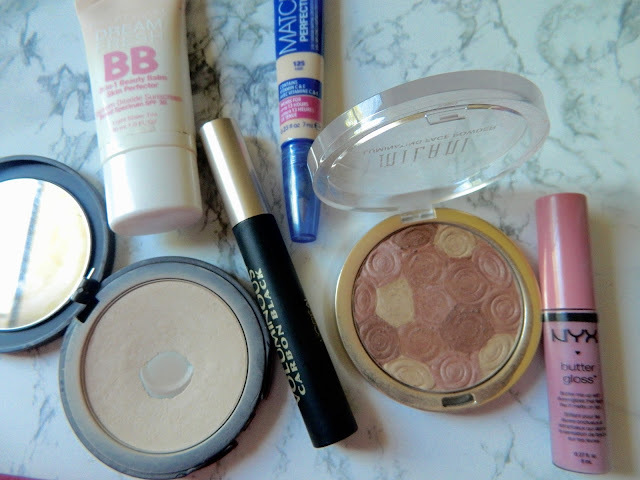 When I went off to college last year, I quickly realized that an elaborate everyday makeup routine was not ideal. I love doing makeup, so I didn't mind spending extra time doing it. The issue was, I didn't have time. I wanted those 20 extra minutes of sleep! BB cream is the easiest way to quickly even out your skin ton in the morning without caking a bunch of products onto your face. I love this one by Maybelline because it's super light and doesn't break me out. Plus, it contains SPF! I usually apply it with a makeup brush, but if I'm really in a rush a just use my fingers to work it quickly into my skin. Concealer under my eyes is always a must for me. If you have spots on your face to conceal as well, you can do that at this time also. Usually when I'm in a rush I just let me BB cream lightly cover my imperfections and just add concealer under my eyes in a "v" shape. Applying your concealer in a v shape will lift your features and highlight your face all in one step. Sometimes I'll also apply this concealer down the bridge of my nose and on my chin for a bit of extra highlighting. You can skip this step if you so choose, but I always apply powder just because I feel like it makes my makeup last longer. It just takes a second and really does make a difference! Tarte has an amazing powder, which I use everyday. I just quickly press it into my skin with this brush and I'm good to go with powder. 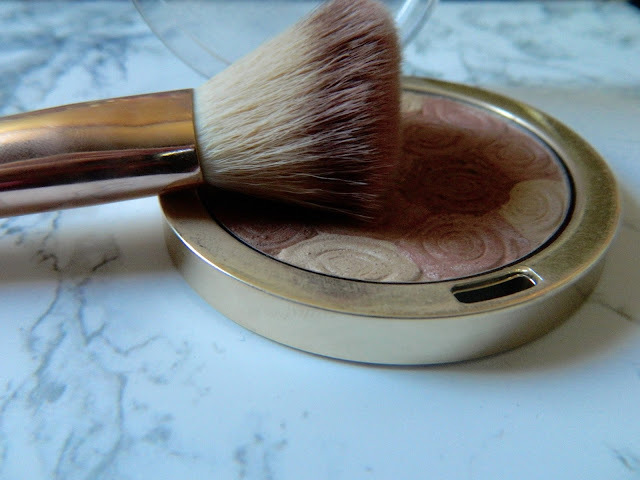 One of my favorite tips for quick makeup is using a blush that double as a bronzer or a bronzer that doubles as a blush. This one by Milani is amazing because I can apply it all over my cheeks and it creates a flushed look while still adding a bit of bronze to my fair skin. Another awesome thing about this product is that is has a bit of shimmer in it. There's no chunks of glitter, just a hint of shimmer to add some glow to your skin! Mascara is a really important step in minimal makeup looks because it brings attention to your eyes and makes you look awake when you might actually be in a complete fog! I love this mascara from L'Oreal because it's the absolute blackest mascara I've ever used. It adds so much length and volume to your lashes without looking clumpy. I love to apply my NYX Butter Gloss because it's the perfect pop of color and shine on the lips. If I don't feel like using a lipgloss, I'll use a tinted lip balm to quickly add some moisture to my lips before heading out the door. It's definitely one of my favorites glosses at the moment! Great products and tips, that's exactly what I'm doing every day! Yes! This is my workday makeup routine in a nutshell. BB cream for the win! This is what I usually wear, but still don't manage it in 5 minutes. Haha I've gotten better at it because sometimes I have no more than 5 min! So soft and creamy! They're some of my favorite glosses! Me too :) thanks for reading! Ohhh yes I can never skip the concealer step - forever trying to cover my lack of sleep! And powder is a must for me too, it sets my make up properly and stops me from getting greasy by 8.03am! Such a struggle seriously haha! Concealer is a must :) Some people can get away with not using powder but I need it on an everyday basis!